The shoulder is a joint that has many tendons and muscles that work together to give a wide range of motion to the arm. However, mobility has a price. Because the shoulder is a ball-and-socket joint, it is at risk for instability and injury. There are many conditions that can cause shoulder pain, which can be acute (short-term) or chronic (long-term). Shoulder problems fall into four main categories: tendon inflammation or tear, instability, arthritis, and fracture. The most common cause of shoulder pain is bursitis. Bursae are small, fluid-filled sacs that lie between joints. The bursa serves as a cushion between bone and soft tissues, and they reduce friction, allowing muscle to glide smoothly over bone. When there is excessive use of the shoulder, the area between the rotator cuff and shoulder blade region (acromion) becomes inflamed and swollen. This is called subacromial bursitis. When this occurs, movement of the shoulder is painful. The cord that connects muscle to bone is called tendon. When this structure becomes worn and damaged from overuse or injury, tendinitis occurs. Acute tendinitis occurs from excessive overhead activities, such as ball throwing. Degenerative, repetitive wear-and-tear leads to chronic tendinitis, which is associated with age. The tendons most likely to develop tendinitis are the four rotator cuff structures and biceps tendons. When tendinitis occurs, the shoulder is painful with movement. With overuse and degenerative changes, the tendons can split and tear. This can occur also from a sudden injury or sports activities. A tendon tear can be partial or complete, where there the tendon is left in two pieces and detached from the bone. The most common types of tendon tears occur to the rotator cuff. A tendon tear will cause sudden pain, loss of shoulder function, and swelling. Shoulder impingement is a condition where the acromion of the shoulder blade exerts pressure against the soft tissues of the arm. When the arm is raised, the acromion “impinges” (rubs on) the bursa and rotator cuff tendons. When it first begins, the condition is called impingement syndrome. The bone rubbing against the soft tissue over the rotator cuff leads to rotator cuff bursitis. With further injury, the rotator cuff can start to develop tears. Severe shoulder impingement will often result in a rotator cuff tear. Another cause of shoulder pain is shoulder instability, which occurs when the head of the humerus (upper arm bone) is forced out of the shoulder socket. This usually occurs from a sudden injury, but can occur from overuse. Shoulder dislocation that is partial is called subluxation, where the ball of the humerus does not come entirely out of the socket. When it does come out of the socket, it is considered a complete dislocation. Either condition causes shoulder pain. Instability may occur from a traumatic situation, such as a fall or a car accident. The additional way instability occurs is through laxity of ligaments around the shoulder. While traumatic instability often requires surgery for fixing the issue, ligament laxity instability can usually be treated successfully with physical therapy. Osteoarthritis occurs from chronic wear-and-tear to the shoulder joint. 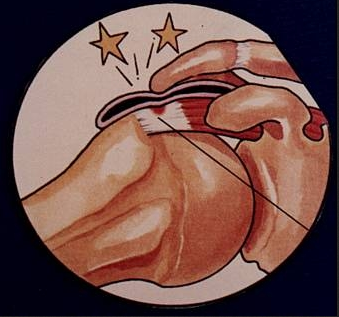 This develops slowly, and leads to pain, swelling, and stiffness of the joint. Often related to work or sporting injuries, osteoarthritis worsens over time. Other forms of arthritis that affect the shoulder joint are caused by infection, rotator cuff tears, and joint lining inflammation. A fracture is a broken bone, such as the upper arm bone (humerus), shoulder blade (scapula), and collar bone (clavicle). A shoulder fracture often occurs from a fall onto an outstretched hand, from a high impact injury, or a motor vehicle accident. Any fractured bone of the shoulder causes severe pain, bruising, and swelling. The treatment for shoulder pain, regardless of the cause, usually involves resting the joint, altering activities, and non-steroidal anti-inflammatory drugs (NSAIDS). Depending on the injury, there are several treatment options that may help patients avoid surgery and achieve excellent relief. Physical therapy and chiropractic treatments may be able to achieve pain relief and effectively stabilize the joint. Pain management doctor can also use injections of steroids and/or anesthetics to relieve the pain, depending on the cause. For serious injuries, tendon tears, and dislocations, surgery is required. Modern shoulder treatment may include platelet rich plasma therapy, also known as PRP therapy. Stem cell procedures for the shoulder may also help avoid the need for surgery while helping regenerate tendon tissue and cartilage. 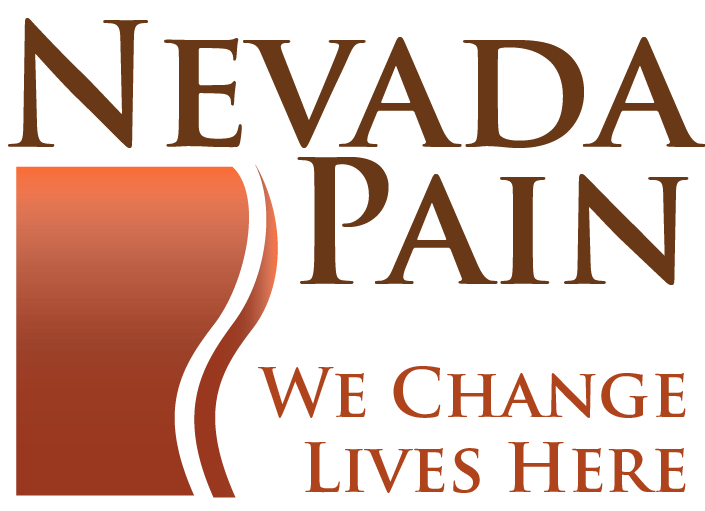 Nevada Pain offers comprehensive nonoperative shoulder pain therapies. Most insurance is accepted, call (702) 323-0353 today!